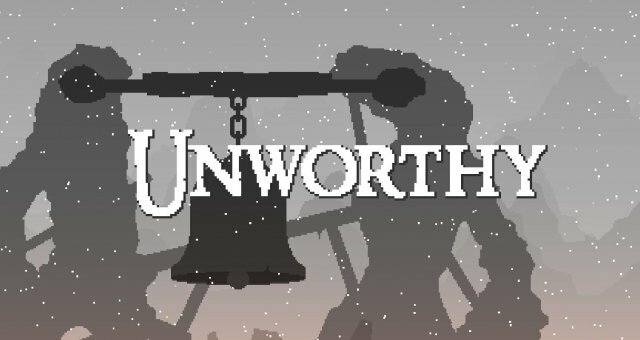 Aiming to be a complete map of Unworthy's expansive game world, with all major collectibles and bosses marked. Also includes hints. Having completed the game, I discovered there is a NEWGAME+. I also discovered a couple of new things. 1) There is a hidden rune in the tutorial area. KAZ. It gives +5% EXP. It is ONLY there in the tutorial area. The room is blocked off in the actual game area behind the Deathmark statue..
2) You can skip the Gaston fight, though you miss out on the Bow of Deceit for doing so. This actually enables you to get that missing fifth Bell Shard from a guy who we've seen hanging around in various places. I think the 'Other Half' he's been talking about IS Gaston, so killing Gaston ends this quest line and means you can't get the final bell shard. 3) I found a second Soulflame Essence flask in the Spire Dungeon. Added it to map. 4) I found another ringable bell in the top left of The Undercity, but it didn't seem to do anything. 5) I found a Soulflame Essence flask behind a hammer-breakable wall in the TOXIC part of the Caverns. Added it to the map. After the cutscene, kill the final boss on your current playthrough and then you can rush to the final boss on your next playthrough (no need to do the bell shards again) for... well, apparently there's a secret boss, but I have only just started NG++ so I don't know what it is yet.